Each moment is a unique moment in our lives, and meditation enables us to practice this insight: One Moment, One Meeting – “ichi go, ichi e” in Japanese. No matter how many times the same elements may work together and no matter how many times they may meet at the same places to create a moment, today’s meeting can never be repeated and, therefore, it is the moment of this one and only meeting in your lifetime. The practice of meditation teaches this insight. Be still. Rev. Matsubara was born into and grew up in a Zen temple family in the Myoshinji denomination of the Rinzai School in Japan. Following his Zen monastic training in Heirinji Monastery, he earned a PhD in Asian religions from Cornell University. Currently he is a visiting scholar at the East Asia Program at Cornell University. 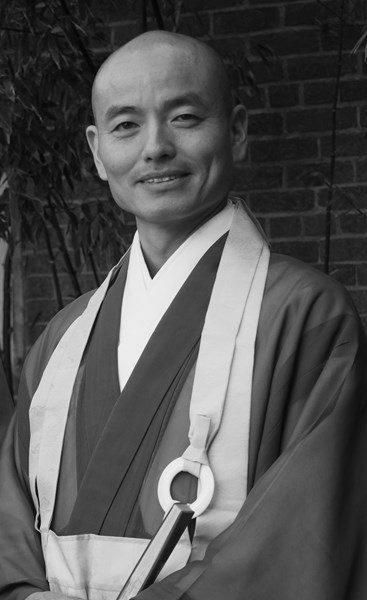 He is the head priest of Butsumoji Zen Temple, supervising the nearby affiliated International Zen Center in Japan and traveling between the States and Japan to lead retreats and seminars. He currently resides in Oakland, California. He will also be offering the Dharma talk at City Center at 10:00 am on November 19.